This ticket allows general admission to Junction 2 Festival on Friday 7th June 2019 only, 12:00 - 22:00. Please note that the last entry time is 6PM. This ticket allows general admission to Junction 2 Festival on Saturday 8th June 2019 only, 12:00 - 22:00. Please note that the last entry time is 6PM. With a picturesque waterfront setting, Holiday Inn London Brentford Lock is a 5-minute walk from Syon Park. The fresh, modern hotel has a mini-gym and a stylish restaurant with a terrace. 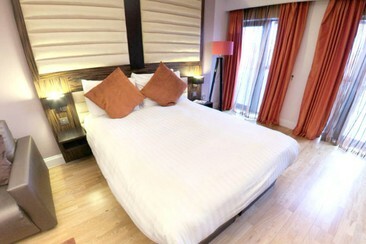 The clean, bright bedrooms have air conditioning and a TV with satellite channels and on-demand movies. All rooms have Wi-Fi access and a work desk, and some have a balcony overlooking Brentford Lock. You can enjoy all-day dining from 11.00 until 23.00 in the lobby area, and there is also a 24-hour café serving snacks. Holiday Inn Brentford Lock is a 15-minute walk from Brentford Railway Station, offering great connections to central London. On-site parking is available, and London Heathrow Airport is a 15-minute drive away. 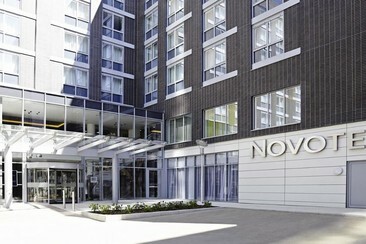 A 4-minute drive from Brentford Train Station, Novotel London Brentford lies less than 8 miles east of Heathrow Airport. 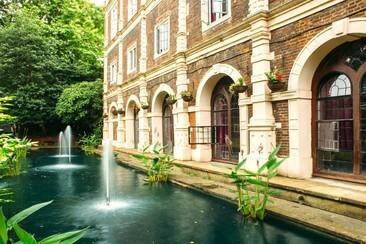 This contemporary west London hotel offers a restaurant and bar, free WiFi, a fitness centre and indoor pool. 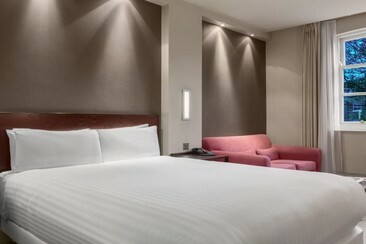 Each air-conditioned guest room has a flat-screen TV, telephone, desk, wardrobe, minibar and tea and coffee facilities. All have an en suite bathroom. Novotel London Brentford offers a range of breakfast options, including a buffet selection, and hot drinks, orange juice and croissants available at the bar. The Elements restaurant offers traditional and modern dining throughout the day. The NH London Kensington hotel is in one of London’s most exclusive areas. You can walk to Harrods, or stroll around the fashion centers of Sloane Square and High Street Kensington. The city’s most famous museums are within walking distance, while the iconic Piccadilly Circus is 15 minutes away on the underground and 5-minutes’ walk to Earls Court underground station. After a refurbishment in 2006, the rooms all have a stylish, modern look. 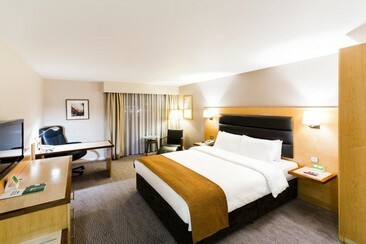 Split-level Suites and connecting rooms are perfect for larger families, while the Executive rooms on the 6th floor have a cozy apartment feel, with lovely roof windows. Inside the hotel you’ll find a modern restaurant, as well as a lounge bar that’s warm and inviting. There is a range of dining options at the hotel including The Garden Lounge Bar, with a charming terrace, serving a menu of modern European cuisine. Guests may also relax in Huntingdon's Restaurant and the Lounge Cocktail Bar. Private parking is on site. Best Western Maitrise Suites Apartment is located in central Ealing, in the heart of West London, with shops and restaurants within walking distance. To explore the rest of London simply hop on the tube to travel quickly and directly to Oxford Street, Westminster and The City. Heathrow Airport is less than 30 minutes away by car or tube. Take your pick from our studios, one bedroom and two bedroom apartments. Whichever luxury serviced apartment you choose, you’ll find a relaxing living area with flat screen TV and home cinema system. The free WiFi makes it easy for you to work from the comfort of your apartment, and the fitted kitchen makes it easy for you to prepare your own meals. The staff at our 24-hour reception will be happy to help you at any time of day. Take advantage of our daily laundry and dry cleaning services, or use our concierge to help organise your trip. We also have the huge benefit of our own onsite car park at competitive rates. 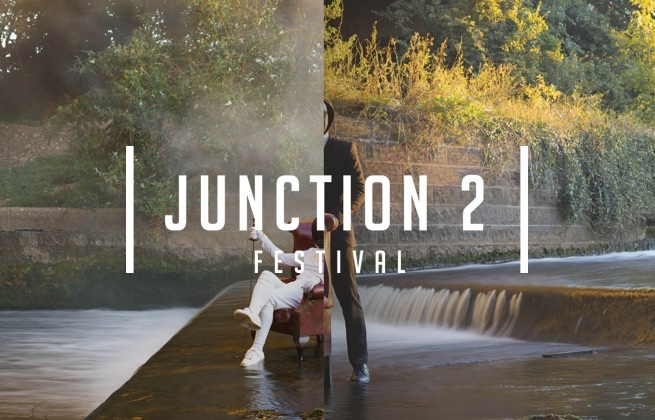 Junction 2 Festival is an open-air techno festival inside west London's Boston Manor Park, showing off the best artists from around the world each summer. The newly added Friday will showcase a more diverse spectrum of sounds, with the scenes most reputed selectors weaving a cohesive collage of styles, including Bicep, Daniel Avery and Motor City Drum Ensemble. Saturday will continue to be rooted in techno, with some of the industry's most influential figures flying in from across the globe to bring dancefloor-pounding sessions to west London. 2019 welcomes back Drumcode main man and festival curator Adam Beyer, alongside Richie Hawtin, Dax J, Etapp Kyle and Maceo Plex. The festival uses Boston Manor Park to blend together natural beauty with striking industrial features.